Midweek Vape News Headlines: Vaping Still NOT A Gateway to Smoking – Vape Sensors Are Big Business – EU Official Slammed – Nicotine A Cure For Parkinson’s? – New Vape Technology and Ban All the Things! A new landmark study should blow away the so called ‘teen vape epidemic‘ myth once and for all and prove beyond doubt that vaping does NOT lead to smoking particular concerning America’s young people. The 2 year long study is one of the largest ever carried out and was published in the Journal of the National Cancer Institute. It concluded there was NO EVIDENCE of the myth that youngsters trying e-cigarettes went on to lit tobacco. Based on my own calculations from the data presented, out of the 12,000 youth, there were only 21 who were even past 30-day e-cigarette users at baseline (cigarette naive) who progressed even to ever smoking at follow-up. These youth reported using e-cigarettes only 1-5 days in the past 30 days at baseline, so it is not even clear that they were regular vapers. They literally could have tried an e-cigarette once 30 days earlier. It is possible that vaping was not a gateway to smoking for any of these 21 youth, but even if it was, they represent just 0.2% of the youth population. The bottom line is that despite the widespread claims that vaping is a gateway to smoking initiation among youth, the most definitive study to date of this issue fails to provide any evidence to support that contention. If anything, it provides evidence suggesting that vaping acts as a kind of diversion that can keep some youth away from cigarette smoking. Will this have any effect on America’s current war on vaping? Vape Sensors Selling Like Hot Cakes In US Schools! Vape sensors are now appearing in America’s school toilets at an alarming rate as the media led ‘teen vape epidemic’ grows faster than JUUL’s profits. My timeline has been filled with announcements of school principals across the US feeling the need to install such devices in a knee jerk reaction to what is – as you can see from the story above – pretty much BS. We’ll get either get a text message on the phone, or I’ll also get an email, if I’m sitting in my office, at my desk, and that will alert us to the exact location and what bathroom it is, and we can come out here and meet the student or students that have been in that bathroom. We’re seeing a lot of kids, as early as 8th grade who are already addicted to vape. “Kids that we are busting two, three, four times, and they tell us we can’t stop. So for us as educators, the biggest piece to us is that we worry about the health implications. Last week I reported on expensive vape testing labs opening up across the States for ‘worried parents’ to check if kids had been vaping and now this. The war on vaping sure is lucrative and not just to Big Tobacco and Pharma. Last week I reported on a quote from a senior EU health official who called e-cigarettes “poison” and this week he has been firmly put in his place. Vytenis Andriukaitis – the head of the EU’s health cabinet no less had made his comment to journalists and now those who really know the health facts around vaping have given him the hard facts. …it generates confusing messages to smokers who need, deserve and should have the right to access to less harmful products in an effort to quit smoking, a highly dependent behaviour. While it has now become universally accepted within the EU that harm reduction is a necessary and effective approach in reducing the adverse health consequences of recreational drug use, there is a lot of resistance in accepting a similar approach for smoking. It is very worrying that the responsible EU Commissioner’s head of cabinet betrays such a lack of expertise. E-cigarettes have precisely the key advantage of not containing any tobacco, which obviously means that no tobacco is burnt during the consumption of these products. Even after all this years and tons of research the ‘powers that be’ in the EU just don’t get it and one really does wonder why. Nicotine is the big bad wolf in America these days but that isn’t stopping researchers testing to see if it can help patients suffering from memory loss. Scientists in San Antonio are looking for volunteers suffering from early and ‘mild cognitive impairment’ because they believe nicotine – which we know is relatively harmless – could have positive effects on the condition. It’s also a well known fact that for decades US Airforce pilots have been given nicotine to sharpen their senses and we also know nicotine is NOT carcinogenic. Nicotine makes receptors, and these are present in many parts of the body, but — importantly — they’re present in the memory circuits in the hippocampus of the brain. It’s been known for some time that nicotine itself could have beneficial effects in even reducing diseases such as Parkinson’s disease. The patients will be given nicotine patches for the experiments showing once again Big Pharma is VERY happy to support the use of nicotine in all forms except e-cigarettes. I have seen videos where patients suffering from illnesses have tried cannabis with incredible results. Let’s hope nicotine can help those with Parkinson’s and similar diseases towards a healthier life. It’s called Puretech and it’s inside the new Vype iSwitch vape kit which I have to say looks very cool indeed. Yeah before you all start ranting it is from British American Tobacco makers of brands such as Benson and Hedges and Rothmans – however this one does take e-liquid and it’s the technology that sounds interesting. Sounds and looks pretty cool to me. We are delighted to be bringing this ground-breaking technology to UK smokers and nicotine users. In a new and emerging consumer category, with rapid innovation, it is important that we continuously look for ways to improve our consumer offering. …We believe that our new Vype iSwitch products offer adult smokers a more satisfying – smoother, richer and more luxurious – vaping experience than ever before. We don’t want smokers to have to compromise with vaping – we want to deliver best in class products that satisfy various consumer preferences, which is why we offer a portfolio of potentially reduced-risk products from which they can choose. After all anyone switching from smoking to vaping however they do it has to be a good thing…right? Yet another agency beginning with F is calling to ban all things vape to and yeah you guessed it ‘protect the kiddies’. We do not need to sit idly by while the electronic equivalent of the Marlboro Man surfaces in new advertising that introduces the next generation to habit-forming tobacco products. Congress charged the FCC with upholding the ‘public interest’ in its oversight of the broadcast industry….As one court recognized long ago, ‘the public interest indisputably includes the public health. The FCC does not have a roving mandate to police speech in the name of the ‘public interest. 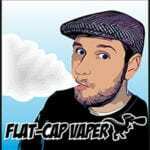 More Vape News On Sunday! A very informative read as always. Thanks Neil.